Letting developers import a site from a zip archive is a feature that a lot of our users have made use of. However, with our strong focus on Git-backed workflows, we feel that that sites imported with zips have been providing a unsatisfactory experience. 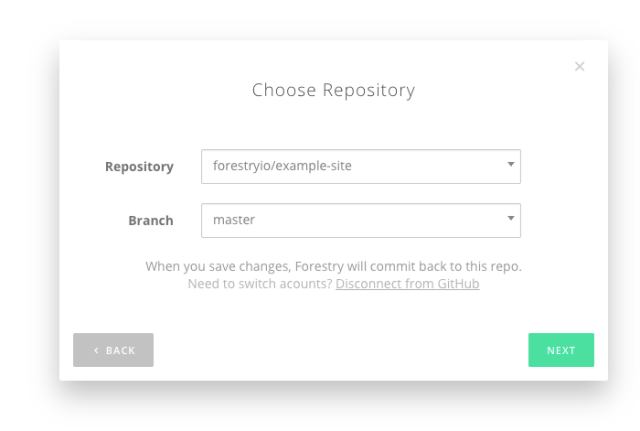 At Forestry, we believe Git-backed content management systems are the future of content management, and that using a Git repository is the best way to manage sites. That’s why we’ve made the decision to discontinue zip-imported sites starting November 13, 2017. What Does This Mean For My Sites? Zip importing is being discontinued in two-phases. During these phases, we implore all users to begin making the move to Git-backed sites. Instructions for moving your zip imported site to a Git repository are available below! How Do I Get a Backup of My Site? Backups of sites imported with a zip archive are available by request, and will be for all-time! 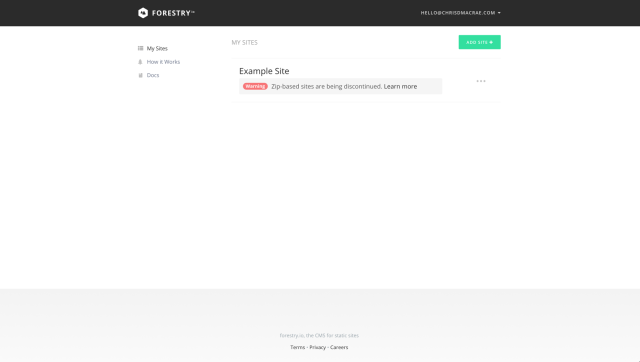 You can request a backup of your site from the Forestry Dashboard. The backup of your site will then begin downloading. This archive can be used to make the switch to Git. How Do I Make The Switch to Git? Switching over to a Git-backed site is quite easy! Once you have a backup of your site, you just need to setup a repo, add the backup, and import it into Forestry and you’re all set! We’ll walk you through a short tutorial of how to do this! The leading provider in cloud Git hosting. Github provides unlimited public repositories for free. Unlimited private repositories are available for $7 per month. The cloud hosting option for Git provided by Atlassian, the company behind Trello and Jira. BitBucket provides unlimited public and private repos for up to 5 users. The open-source cloud hosting option for Git. GitLab’s cloud hosting offers unlimited public and private repos for as many users as you’d like. GitLab also offers a powerful CI for handling complex deployments and build processes! Now that you’ve chosen a provider that meets your needs, you’ll need to set up an account. For the purposes of the tutorial, we will be using Github. Head over to Github and fill out the sign up form to create your account. On the next screen, just hit “Next” to create a free account. You’ll need to verify your account before you can go any further. Click “Start a project” to create your first repository. 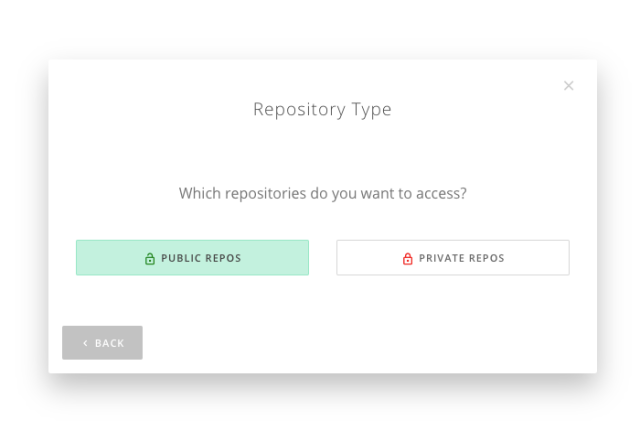 Fill out the details of your repository, and then hit “Create repository”. Now we need to upload the files from your backup. Click “Upload files”. From this screen, upload the contents of your site, and then click “Commit Changes”. Ensure you upload the contents of the zip, not the zip archive! 8. You’re all done of step one! Give yourself a pat on the back! 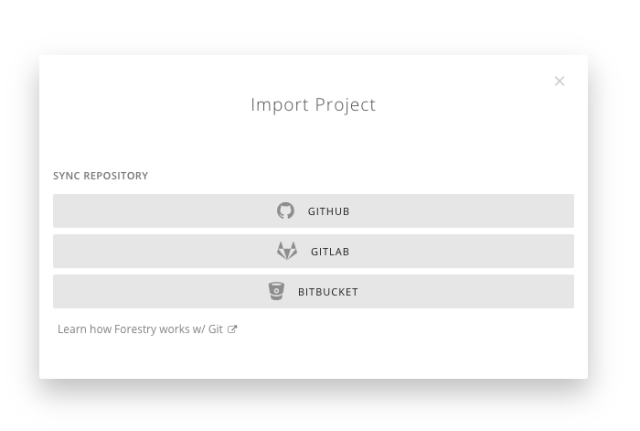 Now that you’ve created a Git repository with your site’s source code in it, you can now import it into Forestry! 3. Choose your Git provider (Github, Bitbucket, or Gitlab). 4. Now, choose your repository, and the branch your source code is in — usually master — and then click “Next”. 1. When using Github, you can choose to give Forestry access to only public repositories, or all private repositories as well. If you’re using a free account, choose public. 5. 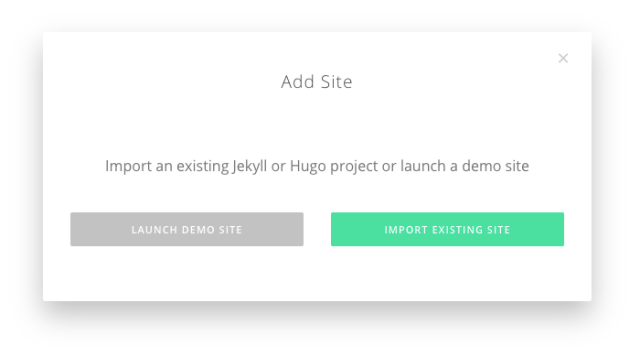 Give your site a name, and then click “Next”. 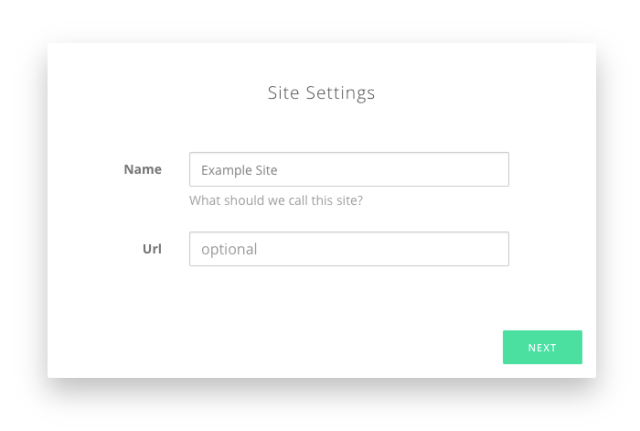 You can start managing your site once Forestry has finished processing it and generates your custom-made CMS! Git-backed development and editorial workflows provide a seamless experience between content editors and developers. Gone are the days of managing content and code backups, handling different environments, and keeping everything in sync. With a Git-backed site, your content and code have a single source of truth — in Git. This makes managing, versioning, and backing up content as easy for developers as it is for code. Also, with a Git-backed site you get the benefit of continuous integration with your CMS, hosting environments, and repository. Every change made by developer is available to content editors and vice versa, with zero extra effort! Sites imported with zips lose all of these benefits, and that’s not okay! So are you ready to make the jump to the Git-backed revolution? If so, share your experience in the comments below!